Gifts that grow! These garden-lovers gift baskets are exclusively available online. 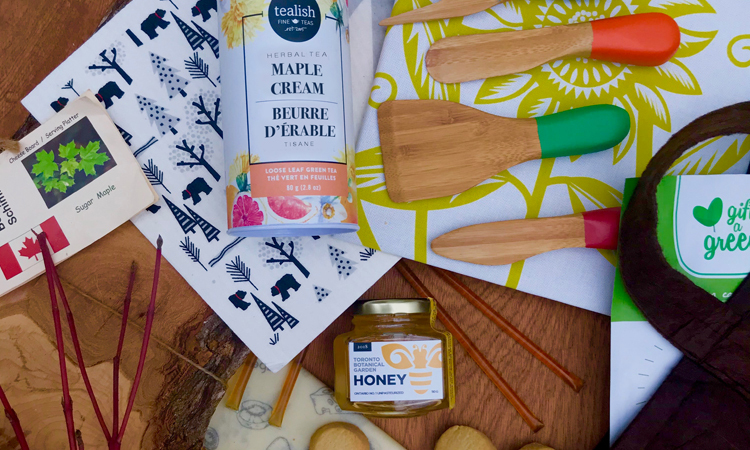 Pre-order your gift basket by Sunday, November 18 for pick up at the Toronto Botanical Garden Shop on Saturday, December 1 or Sunday, December 2, 2018. Delivery within the GTA is available for an additional $30 fee. All proceeds support the Toronto Botanical Garden. There are no refunds or exchanges for gift baskets purchased online. There are no substitutions for online gift baskets. If you would like to create a one-of-a-kind gift basket please visit our garden shop in person. We would be happy to help you create a custom gift basket. If we need to substitute an item we promise it will be equally plant-alicious!